MONROVIA, Calif., Aug. 18, 2015 /PRNewswire/ — Nearly 24 million Americans live in food deserts and don’t have access to affordable, quality, fresh fruits and vegetables. 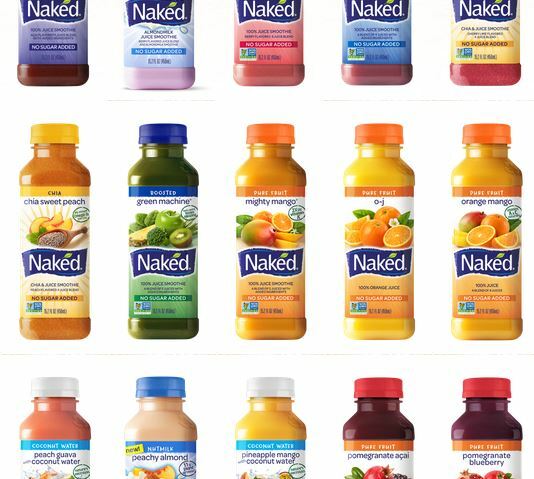 Naked Juice, a division of PepsiCo, packs a bounty of fruits and vegetables into every bottle of its juices and smoothies and believes everyone should be able to enjoy these foods every day. For the third year, Naked Juice is partnering with Wholesome Wave – an organization that helps create affordable access to fresh, local and regional food to those in need – to provide fresh produce where there is none. In launching the Drink Good. Do Good. campaign, Naked Juice is committing to donate up to 500,000 pounds worth of fruits and vegetables to Wholesome Wave. New this year, Naked Juice is making it simple for people across the country to join the effort: just take a photo of yourself holding a fruit or vegetable, tag a friend and include #DrinkGoodDoGood, and Naked Juice will donate the equivalent of 10 pounds of produce to neighbors in need. In addition, Naked Juice and Wholesome Wave are teaming up with local ambassadors across the country to help shine a light on the issue of food deserts. Among the ambassadors joining the effort are actor and philanthropist Adrian Grenier, Wholesome Wave board member and D.C.-based chef Jose Andres, Chicago-born actor, musician and philanthropist Common, and Los Angeles chef Michael Voltaggio. Some of the nation’s largest cities are affected by this issue, and the Drink Good. Do Good. campaign is not only donating but also raising awareness among local residents about what is happening right in their backyards. For example, in a 30-square-mile area of South L.A., there are only 60 grocery stores—that’s only one store for every 22,000 residents. Chicago’s food desert population is estimated to be 384,000—that’s enough to fill Lincoln Park 17 times. Nearly 300,000 people in Washington D.C. live in food deserts, enough to stretch from the Capitol steps to the Lincoln Memorial almost 60 times. Visit DrinkGoodDoGood.com to learn more about the issue of food deserts, watch videos featuring Grenier and Nischan and find other ways to support the cause. *The monetary equivalent of fruits and vegetables will be donated. Maximum donation of $500,000. About The Naked Juice Company: Naked® Juice, a leader in the super-premium juice category, was founded and first marketed towel-to-towel on the beaches of Santa Monica, Calif. in 1983. The beverages in the Naked Juice line of all-natural, 100 percent juices, fruit juice smoothies and protein smoothies are made from the best bare-naked fruits and boosts with no added sugar or preservatives. Naked Juice can be found in supermarkets, club stores, health food stores and neighborhood markets throughout the nation. About Wholesome Wave: Wholesome Wave is a 501(c)(3) nonprofit that strives to create a vibrant, just and sustainable food system. By making fresh, locally grown fruits and vegetables affordable and available, it inspires underserved consumers to make healthier food choices. Its innovative initiatives are improving health outcomes among low-income families, generating additional revenue for small and mid-sized farm businesses and bolstering local and regional economies. Implemented nationwide in collaboration with community-based partners at farmers markets, community health centers, hospital systems, food hubs, and retail outlets, its initiatives reach more than 50,000 underserved consumers and their families, as well as thousands of farmers annually. To learn more about Wholesome Wave visit www.wholesomewave.org or call 203-226-1112.